Lecture by Teddy Cruz, 2015, Kyiv, Ukraine. Photo: FDORIV HUB. 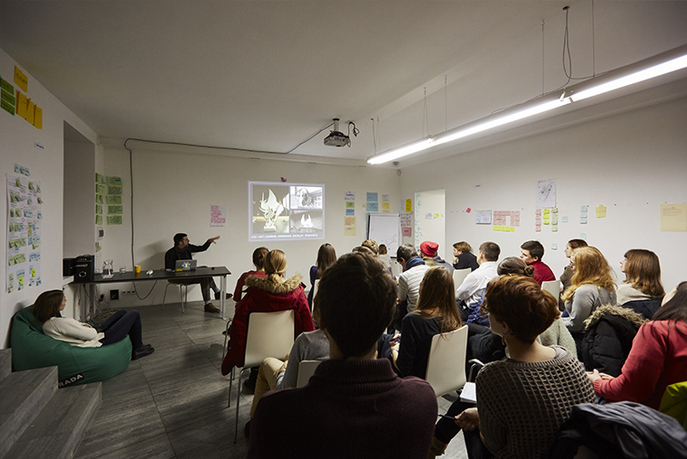 CANactions School for Urban Studies is an open platform with a year-round program of educational events, including three, month-long studios for young Ukrainian and international specialists per semester and open public program for all citizens who are interested in urbanism. The School is the next phase of CANactions International Architectural Festival’s evolution. CANactions has always been and continues to be the project open to every citizen of the city. Therefore, one of the key activities of the School is a regular public program. This public program includes open lectures, seminars, conferences, exhibitions, competitions, film screenings, online courses, and other educational events organized from September through May. Viktor Zotov is an architect and urbanist. He is the founder, owner, and principal of the architectural bureau Zotov&Co, based since 2004 in Kiev, Ukraine. 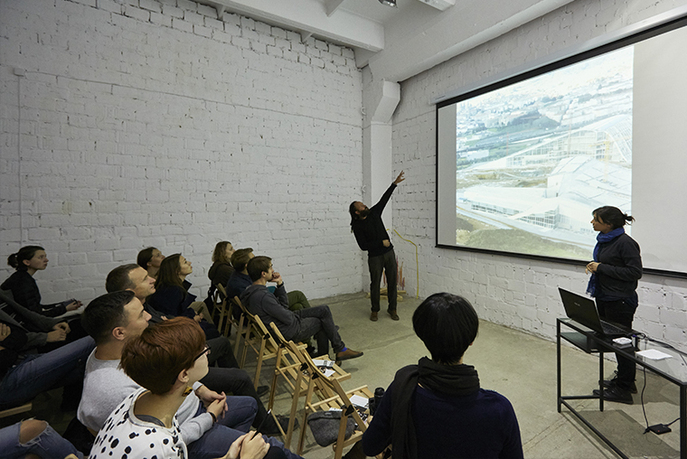 He is also the founder, curator, and a lecturer at CANactions International Architectural Festival (Kiev, Ukraine), which sees an annual audience of 3,500 visitors. 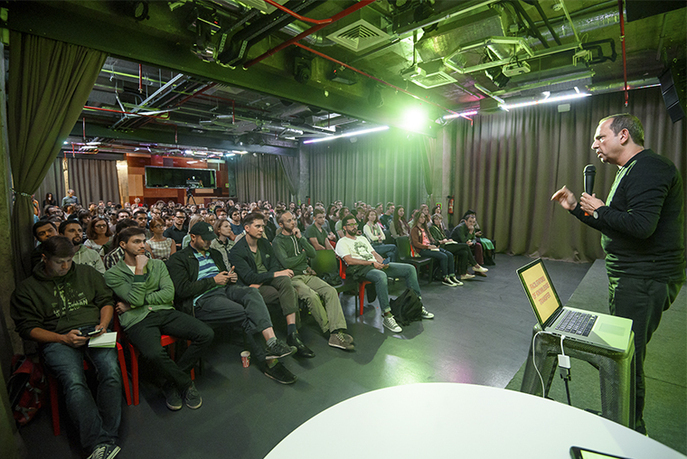 Developed in 2007, the Festival expanded to include the CANactions School for Urban Studies in 2015, where Zotov has served as founder and mentor. Urs Thomann graduated with a degree in spatial planning and urban design from the University of Applied Sciences in Rapperswil, Switzerland. He has worked for various private planning offices in Switzerland, and as a consultant to the Research and Project Institute for the Moscow City masterplan, in order to prepare the Greater Moscow Competition. 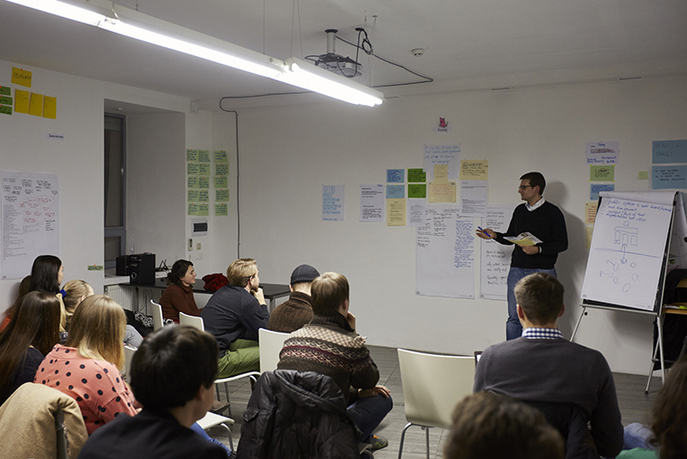 Since 2012, Thomann has worked as a deputy director at the Vinnytsia Municipal Centre of Urban Planning and Architecture. He is charged with not only strategic city development, but also support of cultural programs and capacity building via city administration. Thomann cofounded CANactions School for Urban Studies and serves as curator of Studio#1. 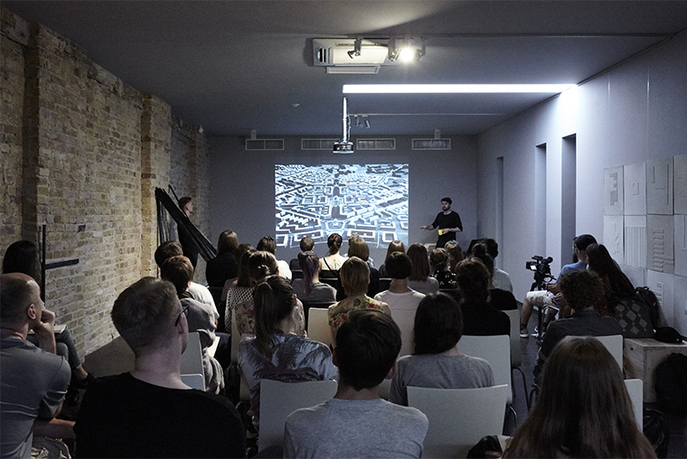 Vladyslav Tyminskyi is an architect, urbanist, and researcher on Ukrainian postindustrial cities. In 2015, he graduated from the Strelka Institute of Media, Architecture, and Design in Moscow. In 2014, he worked as an analyst for the International Institute for Future Studies (Kiev, Ukraine). Previously, he was executive editor of Urban Studies: Politics and Practices of Urban Renewal, supported by the Heinrich Boell Foundation in Ukraine. From 2012 to 2013, he worked as the chief editor of the architectural magazine A. C. C: Architecture/Culture/City. Since 2015, he has worked as a coordinator at CANactions School for Urban Studies. Valentyna Zotova is a director at Zotov&Co, CANactions International Architectural Festival (since 2012), and CANactions School (since 2014). She was educated at the Kharkiv National University of Construction and Architecture and the Kiev Institute of International Affairs. Julia Vorobiova is a coordinator of CANactions Public Program. She studies service and product design at Estonian Academy of Arts and is earning her Master's of Science in design and engineering Tallinn University of Technology. Serhii Bochkariov is a coordinator of the competition program. He studies politology at the Kiev-Mohyla Academy. In 2014 Bochkariov took a ten-month exchange program in regional planning at University of Groningen in the Netherlands. In September 2015 he returned to Ukaine to complete his studies. Yegor Vlasenko is international communications coordinator at CANactions. Vlasenko has his MA in international economics from Kiev National Economic University, Ukraine, and is currently obtaining his MSc degree in urban studies at Malmö University, Sweden. Our mission is to prepare “CANactors”—new specialists who can initiate and implement groundbreaking projects for real urban development in Ukraine. 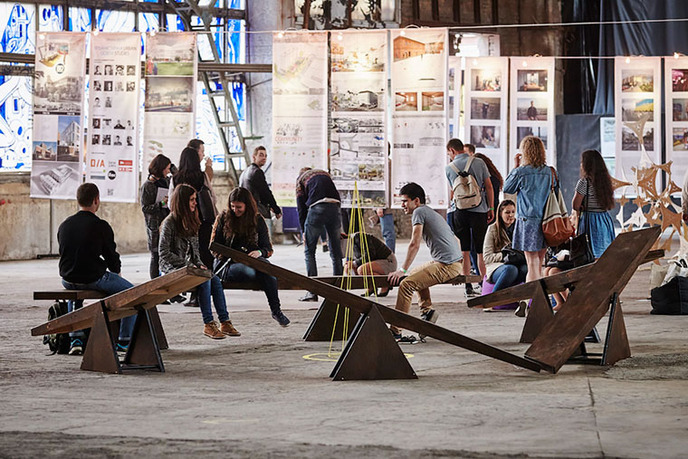 CANactions International Architectural Festival was found by Zotov&Co Architectural Bureau in 2008. CANactions School for Urban Studies was established in November 2014, after eight years of annual festival organization.